Tucson weather - Go Fit Girl! | Go Fit Girl! 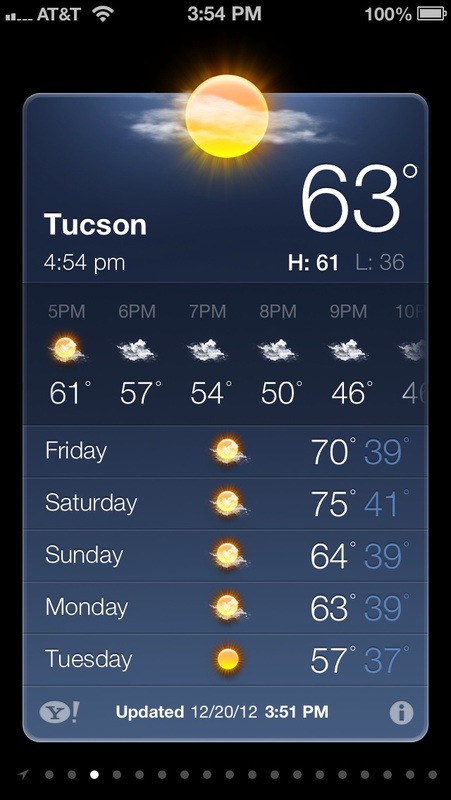 Weather in Tucson is looking good for the next few days. I wouldn’t mind if Christmas day was a little warmer. There’s still time for a warm front to come through.